Naomi Eady, Clinical Negligence Solicitor at Colchester based law firm Thompson Smith and Puxon (TSP), discusses the possibility of compensation for patients affected by the cancer scandal at Colchester Hospital. 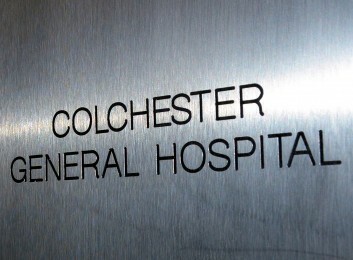 The Care Quality Commission (CQC) have discovered that staff at Colchester Hospital have been tampering with patient records to improve the hospital’s statistics for cancer treatment waiting times. However, it is not yet clear whether this has negatively affected the oncology treatment of these patients. So whilst the hospital is facing a barrage of negative publicity, it is difficult to say what their financial liability will be in terms of patient compensation. Compensation can be claimed for injuries caused by negligent medical care. It appears that data on Colchester Hospital’s cancer ward was being falsified in order to show that national standards were being met, when in fact they were not: this in itself is not ‘negligent medical care’. However, the CQC reported that figures were being altered to cover up poor performance, which suggests that treatment within the cancer department was not being given to an appropriate standard. If it can be established that a patient’s cancer treatment was unreasonably delayed and this delay caused extra pain and suffering then the Trust may be liable to compensate the patient. Similarly, if the unreasonably delayed treatment has caused death then the deceased’s family can make a claim based on the dependency on their lost loved one for financial support as well as care and services. Given that the amount of compensation is based on the level and extent of the pain, suffering and loss sustained, then the amount of damages that can be awarded will vary hugely from case to case. Compensation for the preventable death of a high-earner with dependents i.e. a spouse or young children, can be very substantial. We have had a case of this nature that achieved a million pounds in compensation. Similarly, there are cases where the damages that can be claimed have little or no value whatsoever. Compensation in delayed cancer diagnosis and treatment cases can range from zero to millions of pounds, it depends entirely upon the circumstances of each individual’s case. It is not just the financial liability in relation to compensation claims that the NHS may have to face over the coming months and years. There is also the threat of a criminal prosecution for the falsification of records that may prove to be very costly to both the reputation and the pocket of the healthcare authority. What is certain is that many cancer patients will understandably be concerned by the news and will be making enquiries as to whether the hospital’s recent blunders have been detrimental to their health, and, if so, whether the Trust can be held financially accountable for this. What is not known however, is how much this will cost the NHS in compensation if these cases are successful. If you have any concerns regarding the contents of this article or think that you have been a victim of Clinical Negligence then please call the Clinical Negligence team on 01206 574431.